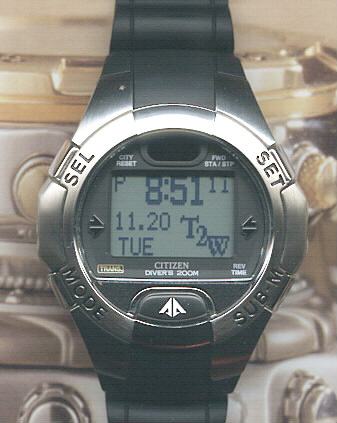 Usually, in this section, I describe the watch's movement in great detail i.e. history, function, finish and accuracy. 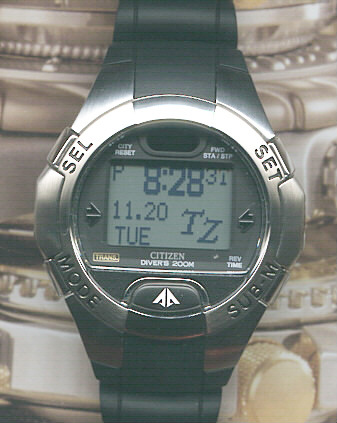 Well, with this watch, it would be quite difficult to get into standard movement descriptions. So instead, I will attempt to enumerate and clarify all of its wonderful and useful functions. 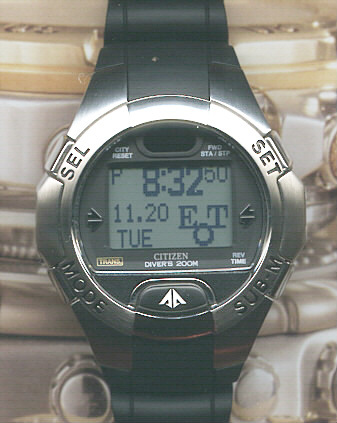 This remarkable CYBER AQUALAND dive computer watch has a wide array of breakthrough features to keep a diver in the know. Most exciting -- it provides two-way data transfer with a PC via infrared or USB cable. 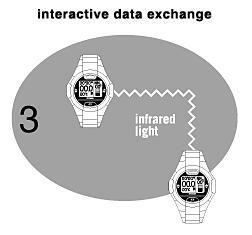 [Illustrations 1 & 2] It can even communicate with other CYBER AQUALAND watches. [Illustration 3] Besides having brains, this watch is a beauty - with a sleek design that takes technology to new heights, and of course, new depths! Set commemorative dates, birthdays, etc. 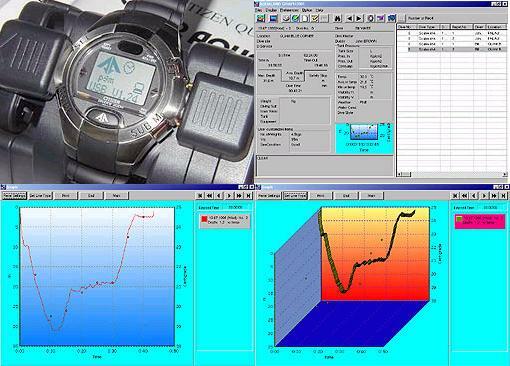 The PC operating environment described below is required for using AQUALAND GRAPH 2001 and CAPgm. Much of this information, was provided by the OFFICIAL CITIZEN CYBER AQUALAND website, to visit CLICK HERE! It sure is nice to see a watch company put so much work into a website dedicated to one of their products. Be sure to check out the VERY thorough F.A.Q. section! I just wish more companies would do the same.